¡ATENCIÓN AUTORIDADES ESTATALES Y FEDERALES! EDUARDO ROJAS CAMACHO ALIAS "EL PROFE" CLAVE QUE USAS CON TU PROTEGIDO Y AHIJADO MANUEL CORTES CRUZ, YA DEJA DE PORTEGER A ESTA ESCORIA QUE SOLO OCUPA EL UNIFORME DE POLICIA PARA MATAR, ROBAR Y HACER CUANTA PORQUERIA SE LE VENGA EN MENTE. SABEMOS DE TI ALCALDE Y DE TU FAMILIA, NO LE SIGAS EL JUEGO A LOS MUGROZOS ZETAS; MANUEL CRUZ CORTES SE SIENTE DE MUCHOS HUEVOS POR TU PROTECCIÓN Y POR LA DE ESOS PENDEJOS QUE LO TIENEN EN NOMINA RECIBIENDO 50 MIL PESOS MENSUALES. MANUEL CRUZ CORTES TE PASASTE DE VERGA CON EL JOVEN DAGOBERTO RAMOS, A QUIEN ENTREGASTE A LOS ZETAS PARA QUE LO TORTURARAN Y MATARAN; MIENTRAS TU SIRVES DE HALCON PARA LEVANTAR Y DESAPARECER A GENTE INOCENTE; INSTALAS RETENES SOBRE LA AUTOPISTA A LA ALTURA DE RANCHO TREJO PARA ROBAR CAMIONES DE CARGA, PIPAS DE GASOLINA Y SECUESTRAR A GENTE INOCENTE. 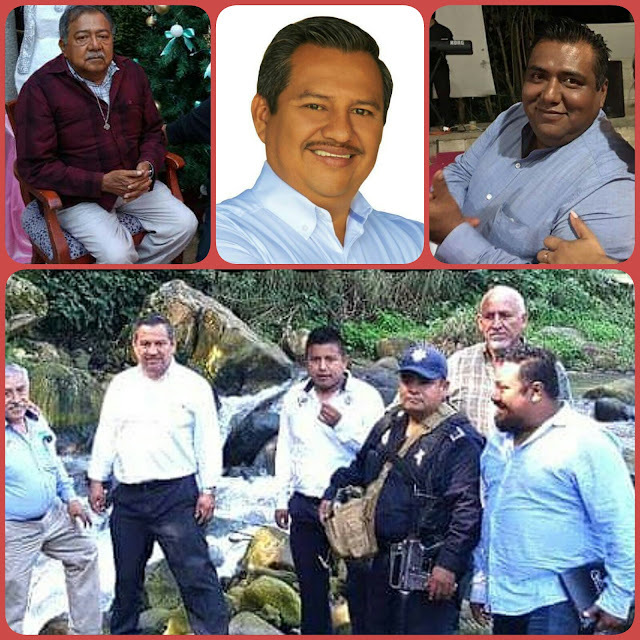 LA GENTE DE LA ZONA DE AMATLAN Y LA PATRONA SABEN QUE ERES ALIADO DEL LIDER DE LA CNPR JORGE DIAZ AQUINO Y SU PADRE JORGE, PAR DE PENDEJOS QUE LAVAN DINERO DE LOS ZETAS, PRESTAN SUS CAÑALES PARA QUE PERFOREN LOS DUCTOS DE PEMEX Y PAGAN A LOS HALCONES PARA QUE LES DEN EL PITAZO CUANDO HAY OPERATIVOS. ALCALDE Y LIDERES CAÑEROS DEJEN DE JUGARLE AL VERGA QUE LOS PINCHES CENTAVOS QUE RECIBEN DE LOS ZETAS, NO LES ALCANZARA NI PARA EL CAJON; MANUEL CORTES CRUZ TUS DIAS ESTAN CONTADOS, SI LAS AUTORIDADES NO HACEN CASO NOSOTROS SI. GENTE DE AMATLAN, ALREDEDORES Y AUTORIDADES, EL PEDO NO ES CON USTEDES ES CON ESTAS LACRAS QUE USAN UN UNIFORME Y EL PODER PARA ROBAR, EXTORSIONAR, MATAR Y CUANTA PORQUERIA LE DEJE GANANCIAS.